Fast. Reliable. Safe. 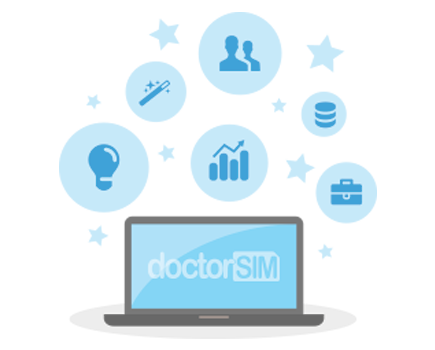 doctorSIM offers the simplest way to check and unlock your customers' phones. Our multi-purpose web platform, doctorSIM Pro, was created for you and with the needs of your business in mind. With its attractive design and intuitive navigation, you can sign up and be fully operational in less than five minutes with only an e-mail address and an Internet connection. Whether you are dedicated 100% to phone unlocking or looking to diversify and grow your business through additional revenue streams, doctorSIM Pro is the partner for you. Confidence: doctorSIM is an online technology company providing a range of savings solutions for the cell phone industry and the global market leader in online phone unlocking. We have successfully processed over 5 million phone unlocks since 2007. Methodology: Unlocking via IMEI is the recommended method by all recognized phone manufacturers and network carriers. Importantly, this method is permanent and doesn't void the cell phone's original warranty. Guarantee: If the unlock code is unavailable for any reason under our responsibility, we will refund you immediately. IMEI phone checks: Complementing our unlocking services are phone checks which provide information on your customers' phones instantly. First-class customer support: Our customer service team is available 24/7 to resolve any of your queries. Sign up doctorSIM Pro and start reaping the benefits today.